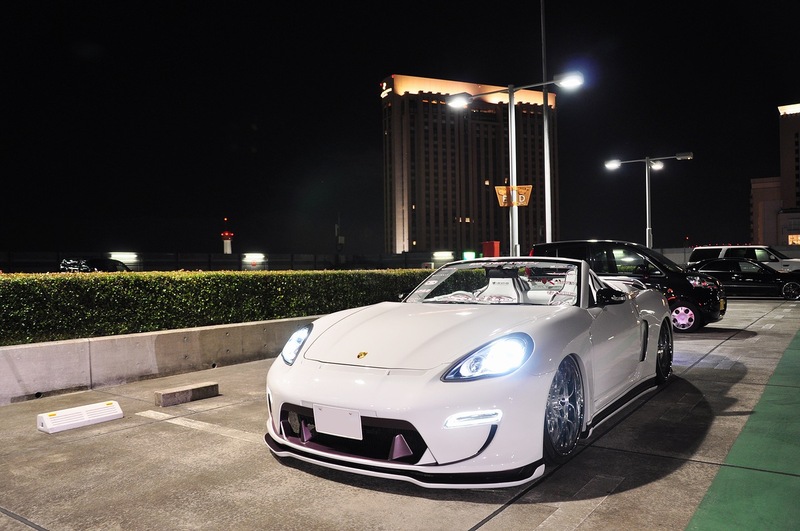 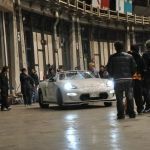 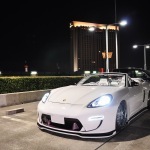 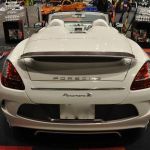 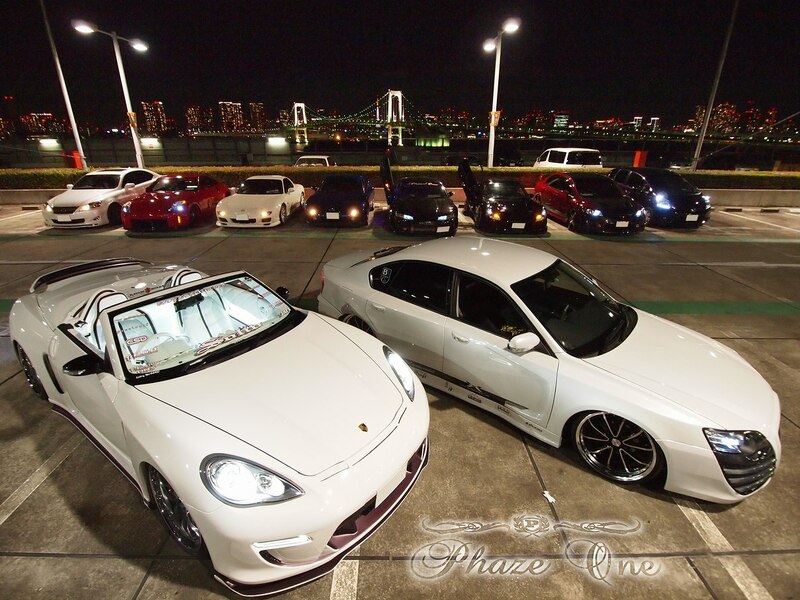 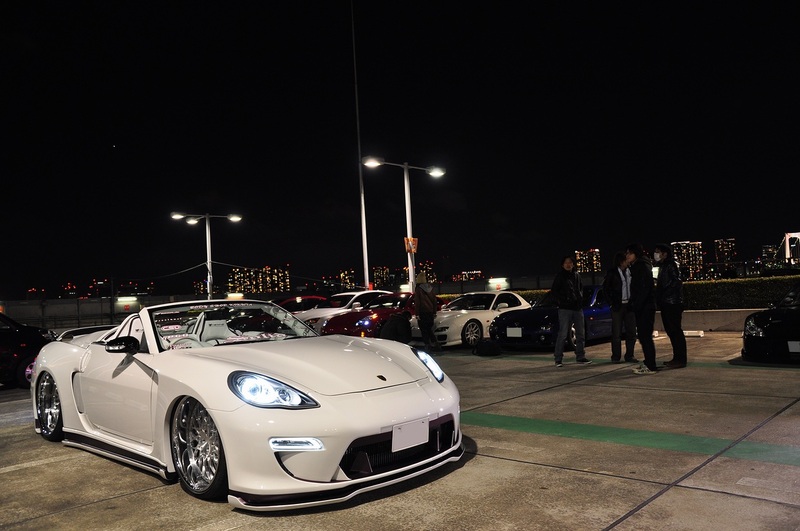 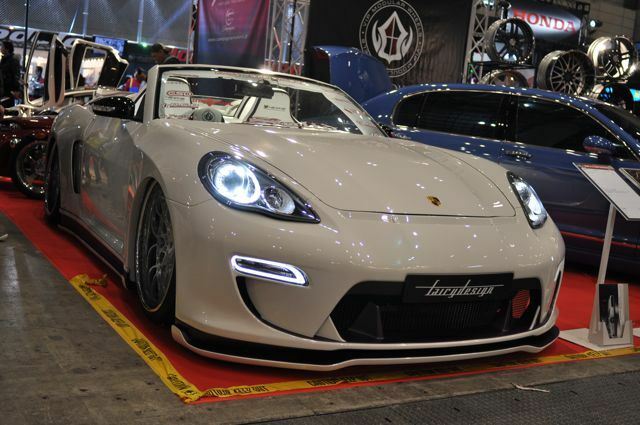 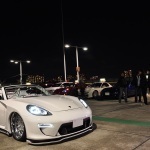 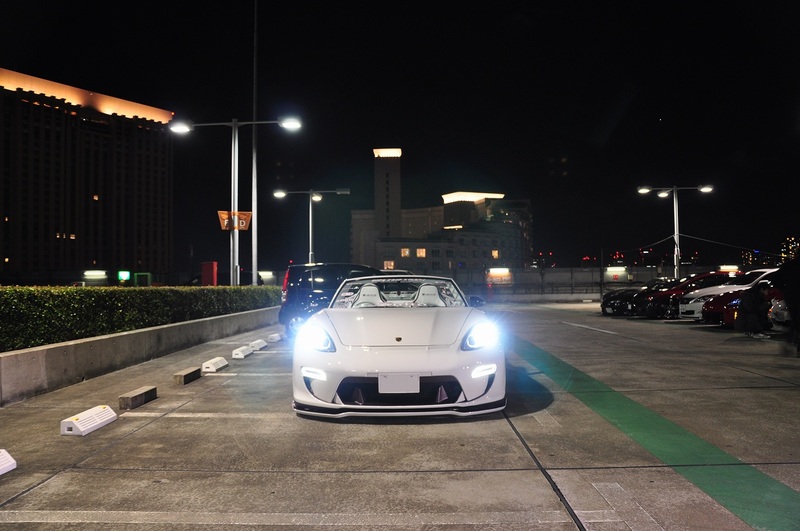 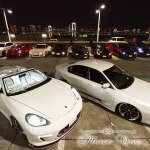 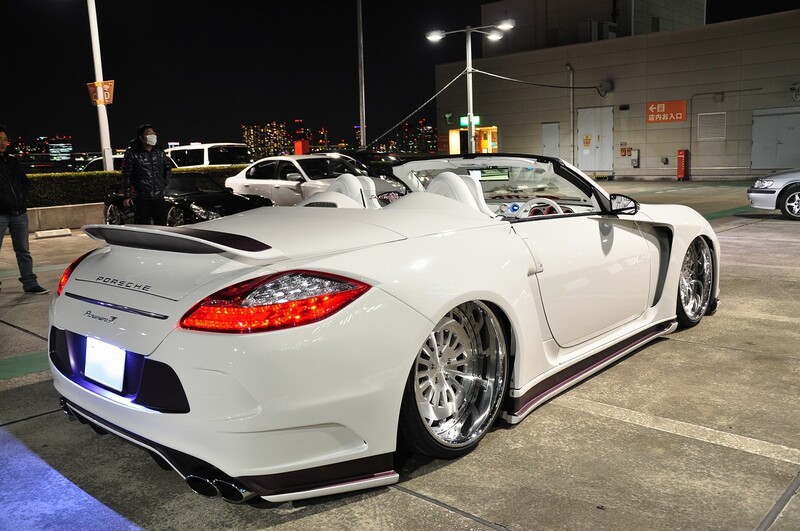 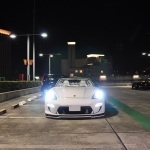 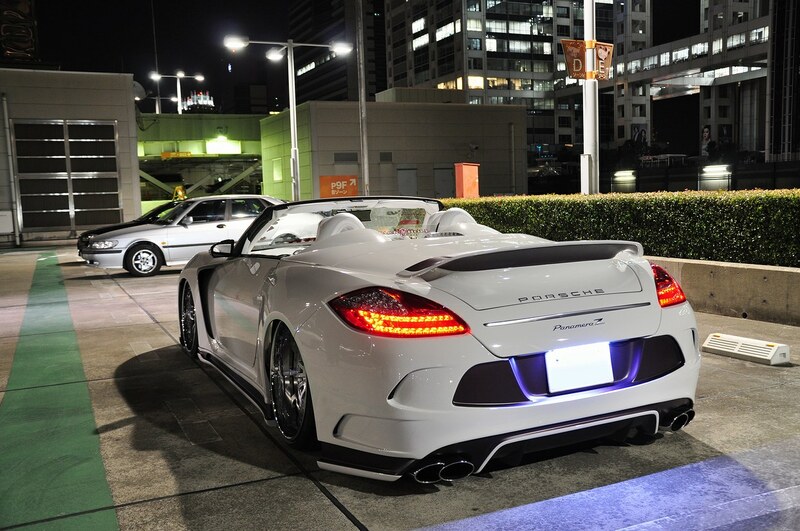 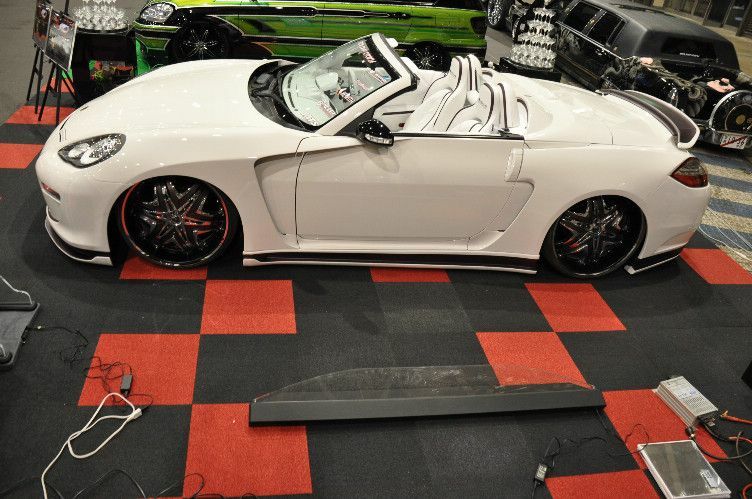 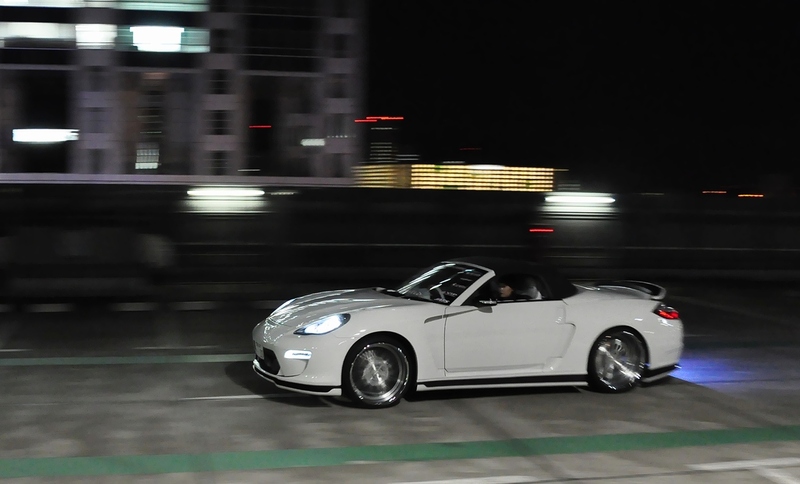 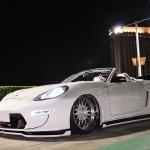 The Pana-Z – A convertible Nissan 350z, converted to a Porsche Panamera. 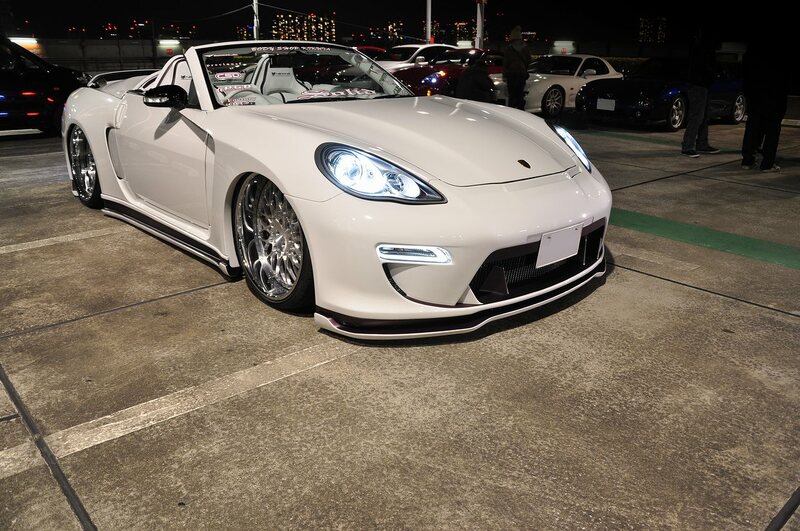 Built by a BodyShop Kikuta. 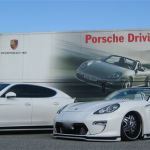 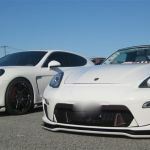 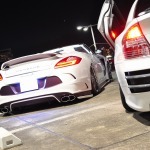 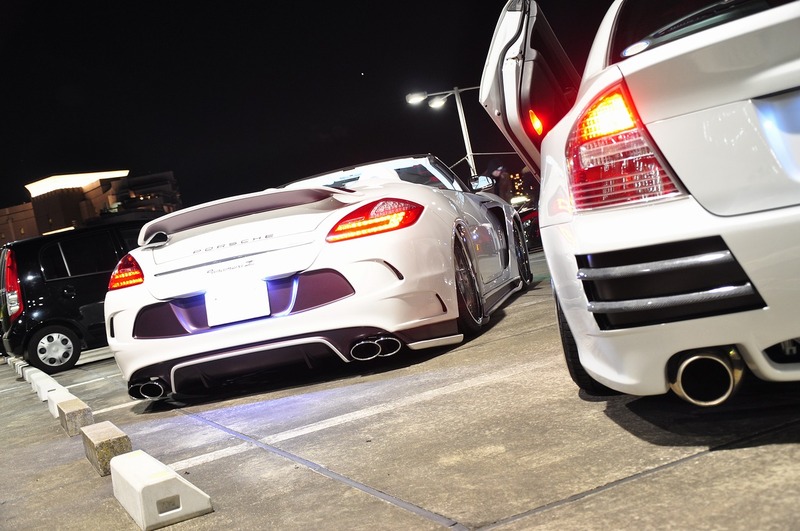 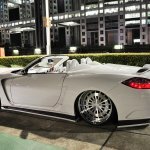 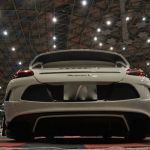 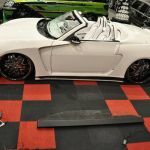 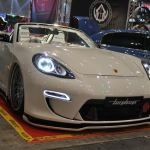 The bodykit (originally built for the Porsche Panamera) – BodyShop Kikuta then fused the kit with the actual Porsche Panamera panels and.. here we are today. 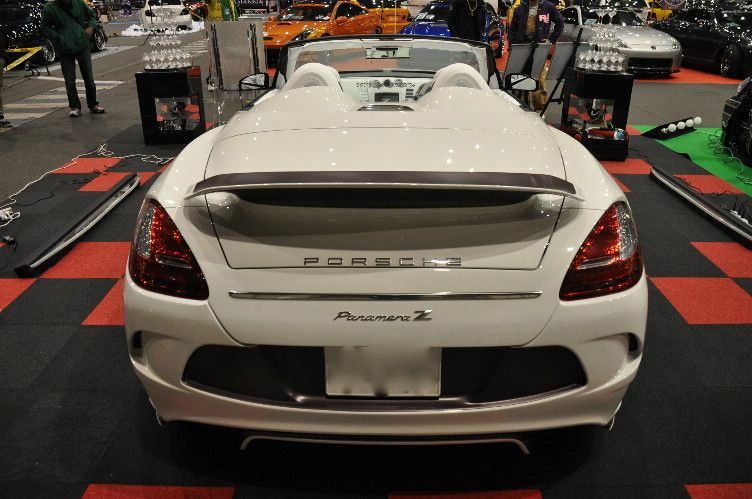 Looking at a Convertible, 2 Door Porsche Panamera. 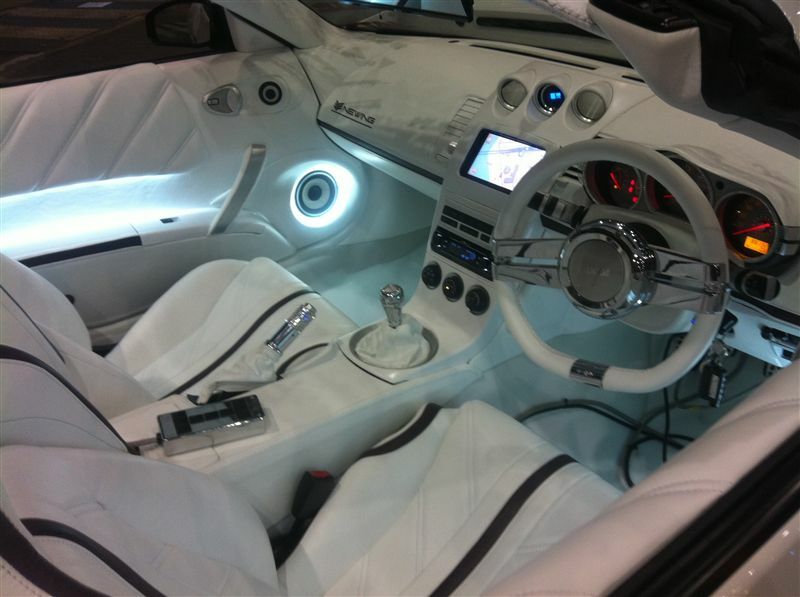 The interior of the car was crafted by NEWING of Hyogo, Japan. 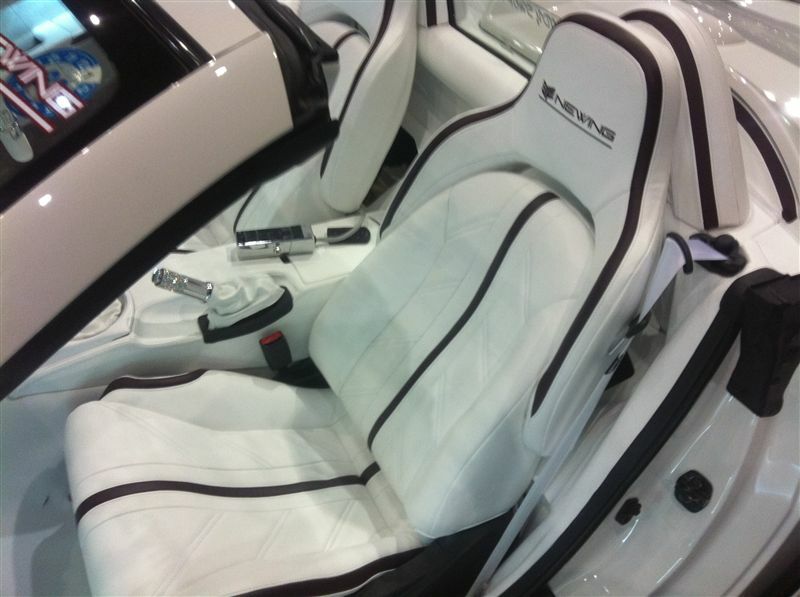 Vast expanses of white leather cover almost every surface, including the doors, dash and seats. 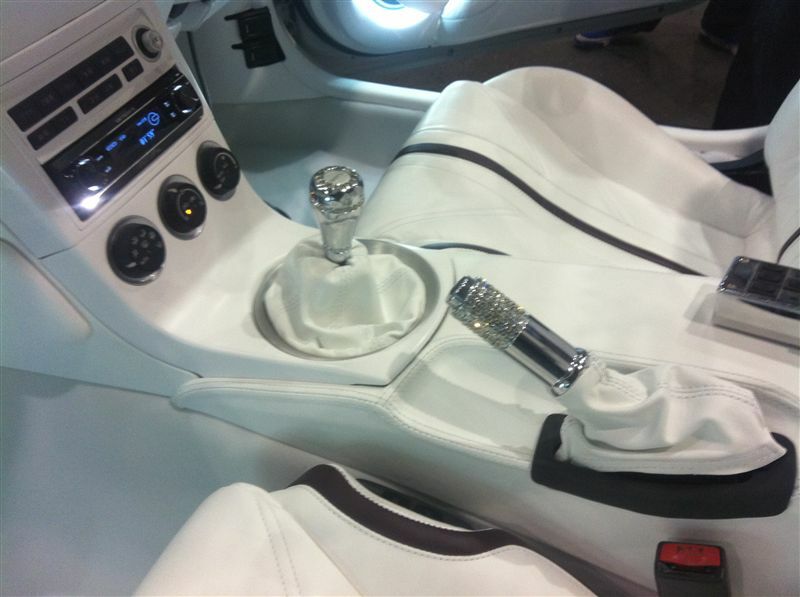 The shifter and parking brake are adorned with Swarovski style decoration by T-Factory. 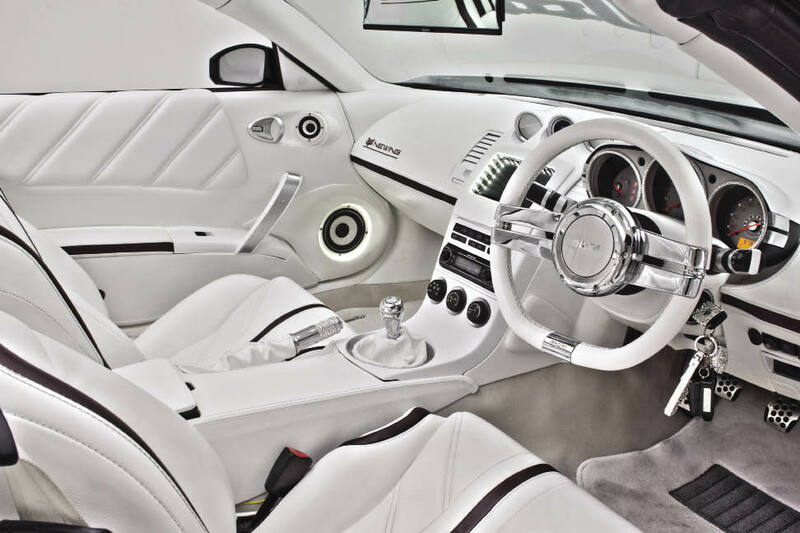 The audio system in the Pana-Z advances the split-personality theme and is comprised of gear from Bewith of Japan. 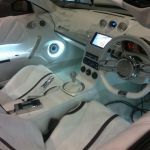 The Mirror Media MM-1 Digital Audio player heads up the system and is built around a custom rearview mirror that will accept a compact flash card. 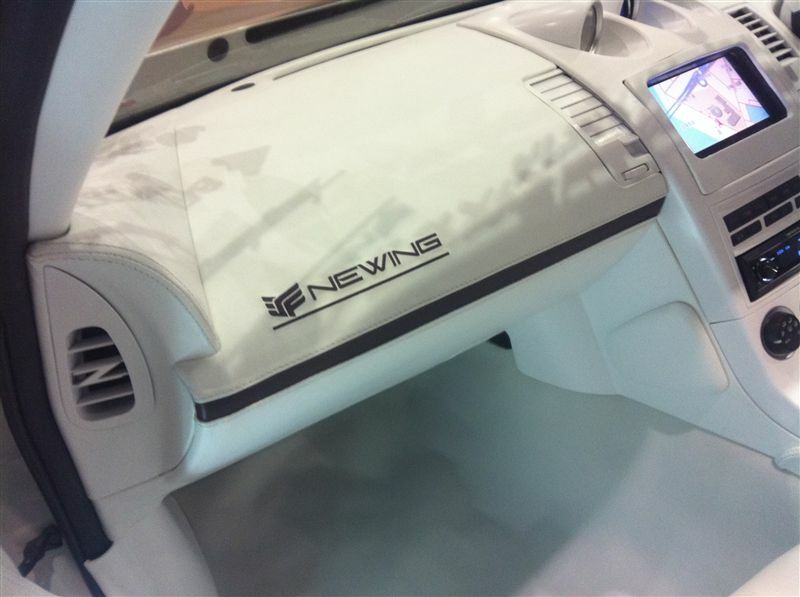 It features premium 24-bit 96kHz DACs – very cool. 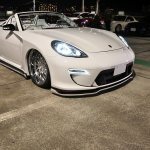 On the split side, when Kameda is competing in an SQ competition or just wants to kick it old school and pop in a CD, he switches up to the Pioneer Carrozzeria DEH-P940. 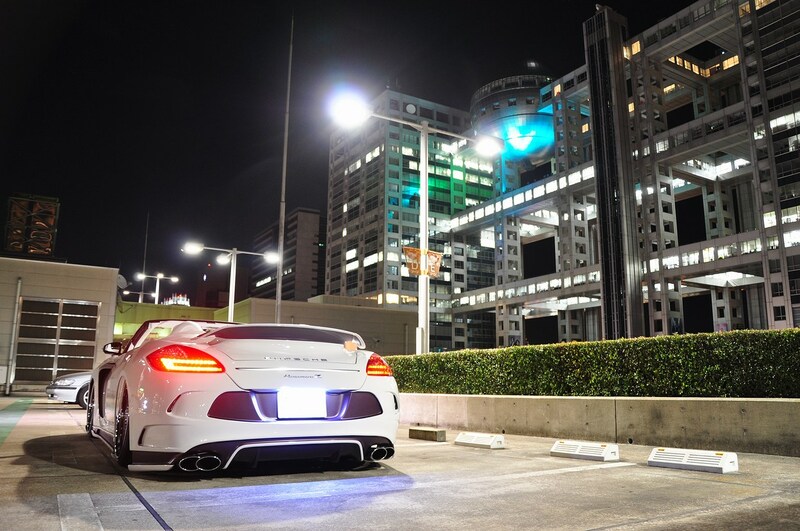 Signals from the MM-1 are sent rearwards to a Bewith State sound processor that is equipped with crossovers and equalization, which allows for fine tuning. 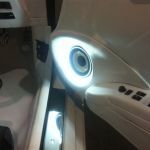 The Bewith State connects directly to the MM-1 through a proprietary digital cable. 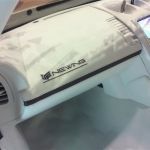 The six output channels of the Bewith State feed six Bewith Accurate A-110S 100W monoblock amplifiers. 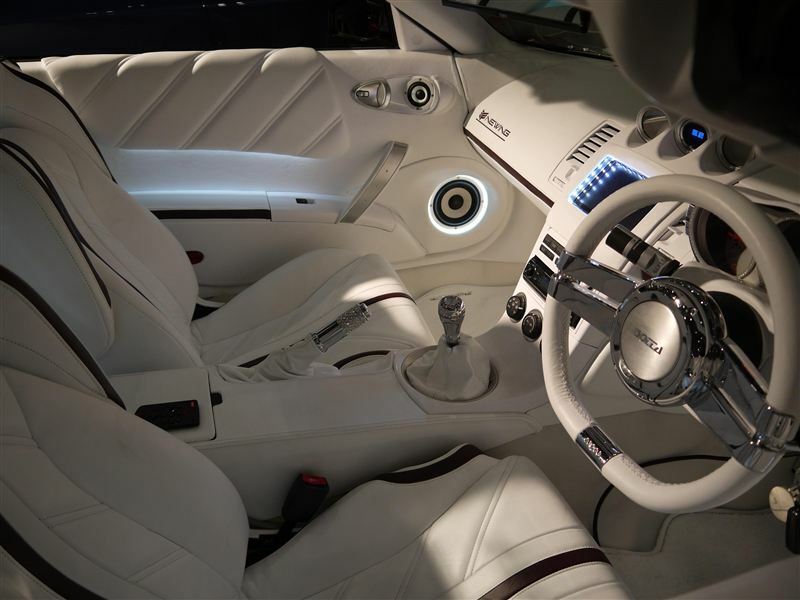 Each amplifier is connected to a single Bewith Confidence series speaker. 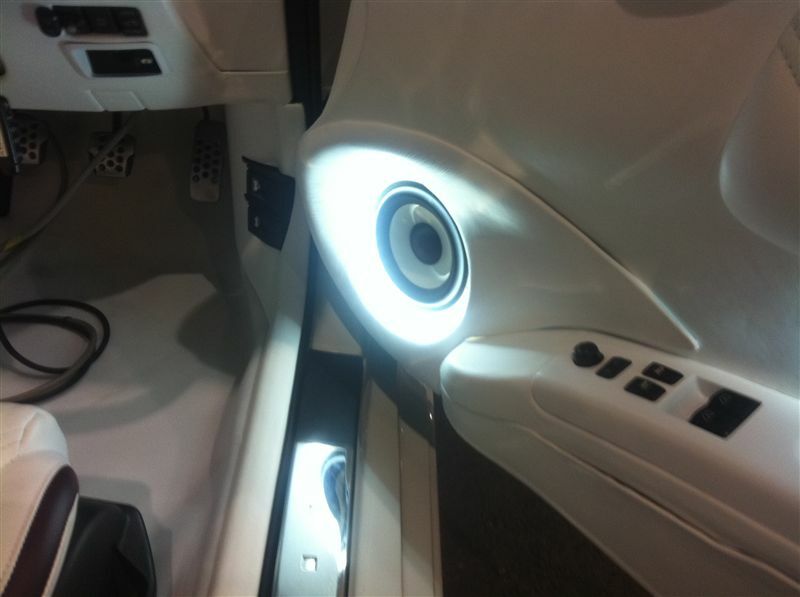 At the top of the doors are C-50II 5cm tweeters, while C-130II 13cm midwoofers are located at the bottom. 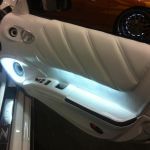 The rear ‘parcel shelf’ is home to a pair Confidence series woofers which are mounted in sealed enclosures. 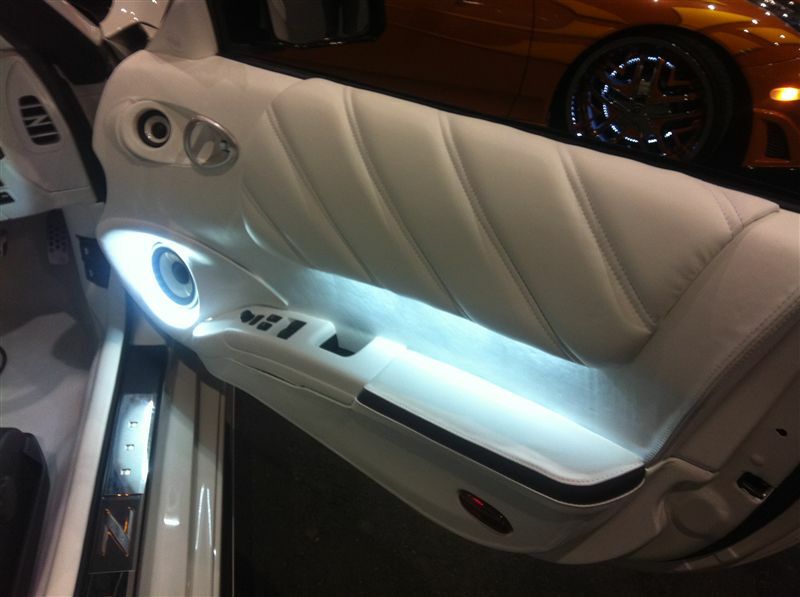 The midwoofers and subwoofers feature illuminated perimeter lighting which makes them really stand out. 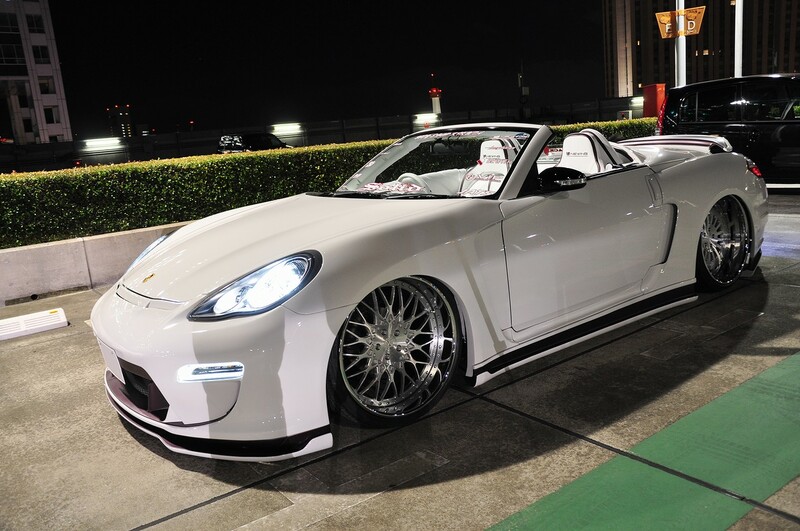 The Pana-Z, as Kameda calls it, rolls on 22-inch VIP Modular wheels. 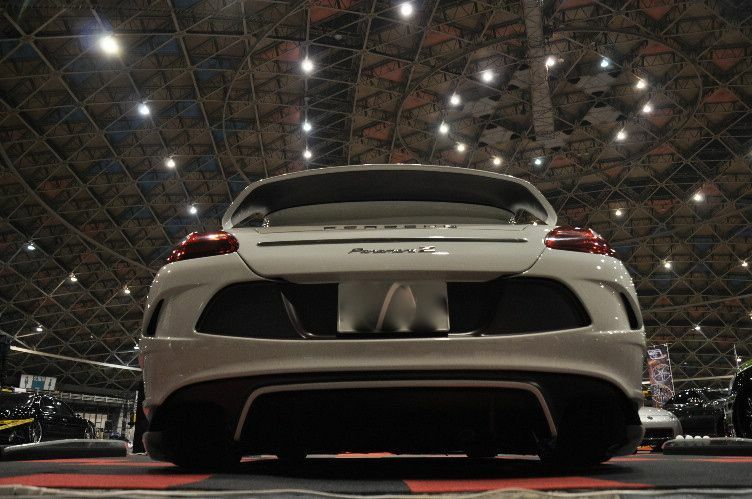 The 10-inch wide wheels are VXS210 models in the rear and VXS110 in the front. 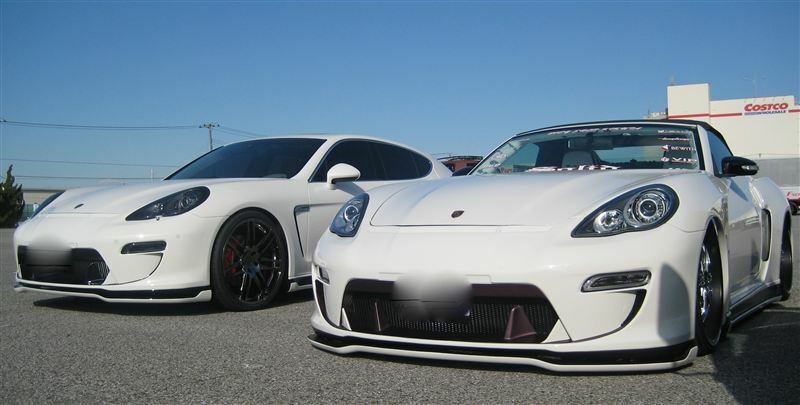 Mashup: 2005 Nissan 350Z Pirelli PZero Nero tyres connect the car to the ground. 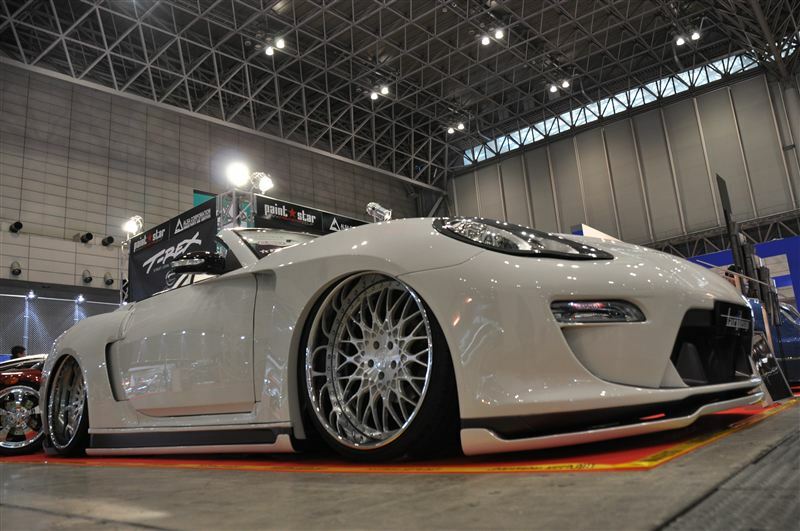 Underneath the massive wheels are 430mm (~17-inch) rotors in the front and 400mm (15.75-inch) rotors in the rear. 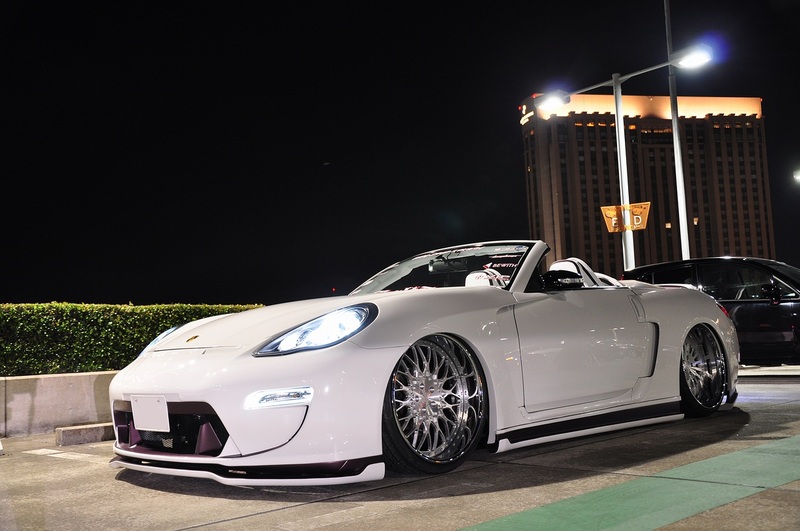 Clamping the massive rotors are the huge callipers from the CSD 16POT Ultimate Brake system. 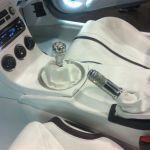 The suspension utilizes stock shocks with a complete high speed air suspension system. 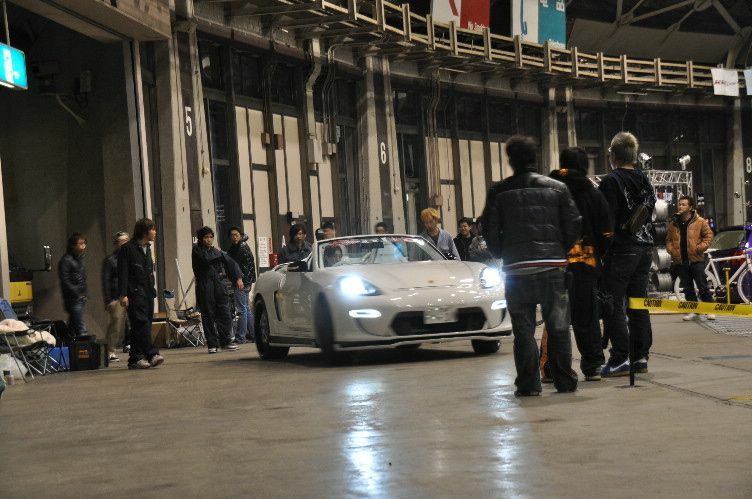 At the touch of a button, Kameda can drop the car to the ground. 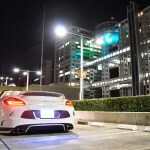 Bumping power output from the VQ35 is an HKS supercharger. 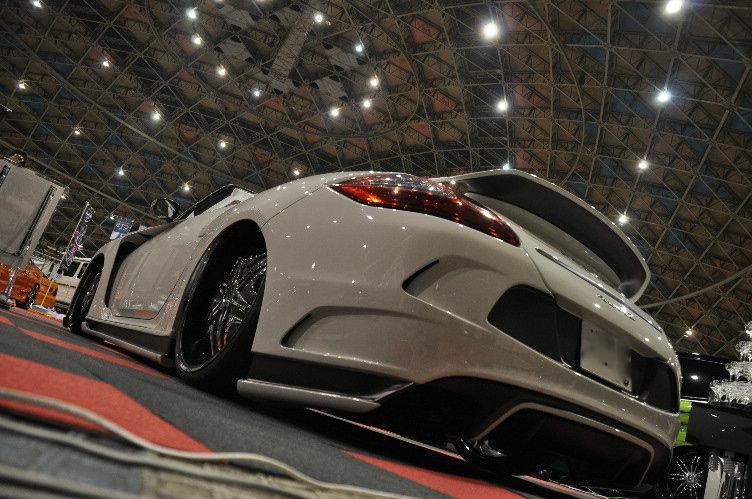 The majority of the 350Z guys hate it, but as 350z owners ourselves it actually looks kind’ve good! 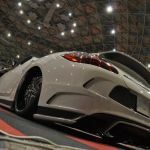 – Would love to see it up-close though.. photos are hardly ever do justice on a car especially when it comes minimalist imperfections.